Today I’m going to be doing mini reviews some books that are being released around this time of year. 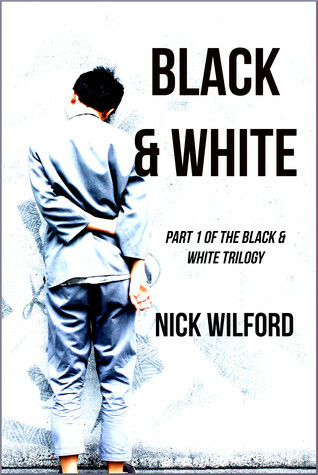 Firstly I will be reviewing Black and White by Nick Wilford which I was sent by the author for review, and secondly I will be reviewing The Shadow Cipher by Laura Ruby (identifiable as YORK which is the series name). I have to preface this review by saying that I didn’t especially enjoy either of these books but it was more of a case of them not fitting well with my preferences than them being bad books so you might still enjoy them. This book and I didn’t really get on. I never really got into the plot and I struggled to connect with the characters. I just felt like there was a depth of emotion in them that was lacking. Especially for the beginning of the book I never feel the pull to keep reading. It did pick up in the last 100 pages and I was a bit more interested in what was going on, but I never got invested in the story. I feel like the stakes were never high enough and the outcome was too predictable. I am a but confused as to whether this book is YA or adult, because although the characters are young it reads a bit more like an adult novel just because of the writing. There was a lot of telling not showing which prevented me from being pulled into the plot. I kept being pulled out of the story to be annoyed at how I was being told that such and such character was “clever” or “not like other people” but I was never shown it. For example, “Everything inside him told him this was a bad place to be.” What is he picking up on? If it’s the atmosphere or peeling paint job or sound of shouting then tell me that and let me come to my own conclusions. The tone of this book reminds me of a fairy tale, which is some people’s cup of tea but not mine unfortunately. It kind of felt like an Animal Farm esque allegory although the hidden message wasn’t so hidden. Wellesbury seemed very emotional, he was squeezing out tears at the thought of his friend in pain, and this is a friend he has known for one hour… that seemed a bit over the top. He rushed into things without thinking them through and he kissed people without consent (which yes, was explained away because of the plot but its still not something I can support). I liked our heroine Esmerelda a lot more. She had personality, she had actual goals and interests, and she took the events of the plot into her own hands rather than just sitting back and letting things happen. Although she did read pretty similarly to other spunky teenage girls in dystopian novels, I liked her more than Wellesbury from the second she appeared. I don’t like how all the parents in this book were horrible people. In fact all the people in this book apart from Wellesbury, Esmerelda, and one adult were boring and lackluster and content to live their lives oppressed. I understand that this was meant to be making a statement, but it did make them very boring to read. I liked the scenes between Esmerelda and her parents, they were a bit more animated than most. But there was a plot twist at the end regarding them that I think was completely unnecessary and added nothing to the book. The concept of a world without death and illness was interesting, especially considering today’s level of war and sickness and the vast possibilities of science but the message of how the imperfections are there for a reason felt a bit forced to me. Despite being one of the key concepts of the story, I found the world’s constant “sameness” unbelievable. Maybe that was why I struggled to get into this story, it was asking me to suspend my belief too far with too little explanation. A lot of my other world building questions were touched on at the end of the book and although the explanations weren’t at all scientifically sound I could accept them, I just feel like some things still didn’t quite make sense. This plot was relatively slow moving and felt a bit predictable. It never felt like there were high stakes or much tension even when people’s lives were on the line. Again, the fairy tale tone kept me from worrying about the safety of our characters. I feel like some of the plot elements were a bit convenient. They seemed far too easy and didn’t felt increase the tension of the book. Overall it felt like not much happened in this book, and I am happy to read books like that as long as I care about the characters which unfortunately in this case I didn’t. Don’t get me wrong this book wasn’t bad, I just think I wasn’t the intended audience. I am (1) not in the middle grade age range, (2) not necessarily a fan of steampunk which this book kind of was, and (3) have very high standards for ‘The Da Vinci Code’-esque stories and usually find them disappointing. I didn’t realise this was a middle grade book until I was part way though and some of the characters were complaining about how unfair it was that they didn’t have phones at age thirteen. That realisation explained a lot. However the characters of the kids didn’t feel that young. In my mind they could easily have been fifteen or sixteen from the way they interacted with others and their thought processes. The writing style was kind of fantastical and over exaggerated at the best of times, and downright condescending at the worst. Once the action started, the pacing moved a bit too fast. There were two important scenes where a lot was going on and I missed a lot of information, it might have been because I was bored and skimming the book, but I had to reread pages multiple times to figure out what was going on. Plus despite risks to the lives/safety of the children I never really felt like they were in any danger. I found the plot really convenient, a lot of the things that happened (especially at the beginning) were pretty much just chance, and while this is kind of explained away at the end it still didn’t sit right with me. Plus there were no real “aha” moments. A lot of the figuring out of clue just involved looking at things until you overheard someone speaking about something related. There was no way that the reader could have figured out the clues because they were all about unknown things, which is kind of a shame. One of the reasons I usually love books like this is because I can figure out the clues before the other people. The characters felt stereotyped and over exaggerated. Jaime was some nerd who was constantly pulling out a sketch book to draw superheros, Theo was an uptight encyclopedia who knew everything, and Tess was a nervous wreck who thought up the worst case scenario (often involving sharks or tigers). This made the characters unrelatable and unrealistic, maybe if those traits were toned down a bit I would have been able to take them seriously. I did really enjoy the parent’s presence and involvement in the story, that was good to see. Overall the world building was interesting but not explained in the slightest which annoyed me greatly, but I think that was just my constant need for answers. 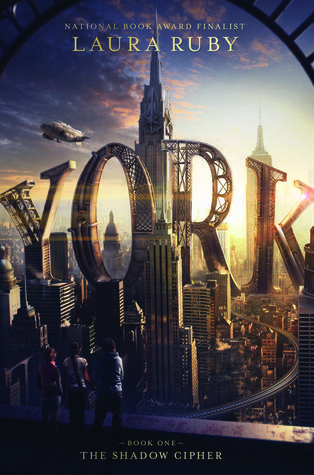 I don’t really like steampunk elements but that’s not specific to this book, I just don’t enjoy steampunk in general. Great reviews. I have not heard of either book.